Just got home from Brisbane South Bank New Year countdown... was a little dissapointed tough. I guess I was expecting a little too much after spending time in Sydney on New Year last year. The fireworks display in Brisbane went on for only 10 mins and there were only 2 noticable barges used for the fireworks... bleh... boring! Anyways... Have a good year ahead and enjoy the New Year! PUNY HUMANS! The GREAT NAVI is a good MOOD! 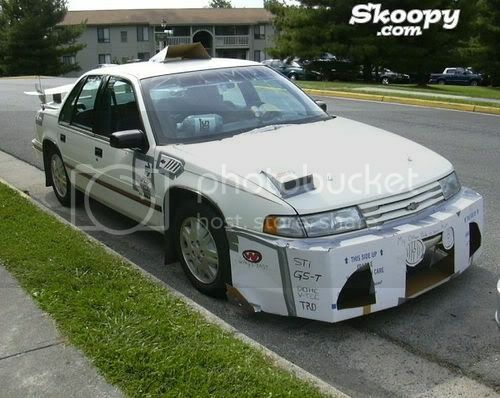 The GREAT NAVI will instruct PUNY HUMANS how to MODIFY the PRIMITIVE automobile you call the CAR... WITHOUT forking out too much MONEY. OH... Have a HAPPY NEW YEAR as well, PUNY HUMANS! Hey pplz! Guess what I stumbled upon in youtube? The trailer for Fantastic Four: Rise of the Silver Surfer. Check out the chase scene between Human Torch and Silver Surfer! Wicked! IT'S CHRISTMAS! Blessed Christmas everyone! The best thing is... I'll be on leave till 2nd Jan 2007! Nice! Time to catch up on things other than work! "Remember me? I'm the kid with the weak bladder"
"Oh, by the way, if I don't get a Wii, I'm gonna hunt you down, old man"
"I love you Kenny Rogers"
"Frankly I'm just here to humor my parents"
"While I'm talking to you, my mom is shoplifting blouses"
"Mom says you're my real daddy"
Ohh.. 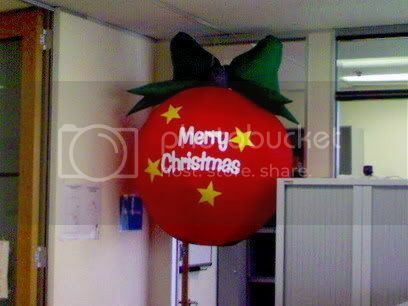 If I don't see you guys in the next few days... Have a Happy Christmas!~!! Never argue with an idiot; people watching may not be able to tell the difference. PUNY HUMANS! The GLORIOUS NAVI is in GOOD mood today and would like to SHARE this HILARIOUS video with PUNY HUMANS. ENJOY! 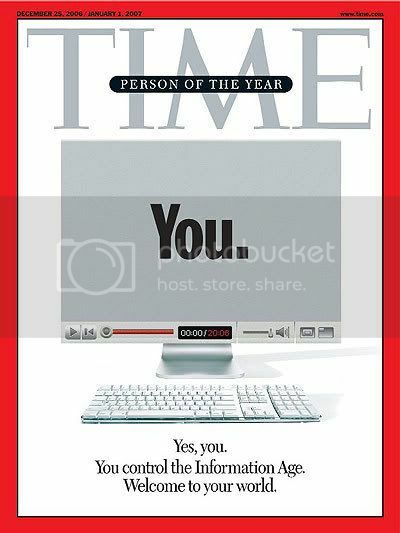 Time's Person of the Year 2006 is... You! Time's 2005 Person of the Year was the richest man in the world, Bill Gates, his wife Melinda, and Irish rocker Bono for being good samaritans, while the 2004 choice was US President George W. Bush. This year, you have been named Time magazine "Person of the Year" for the explosive growth and influence of user-generated internet content such as blogs, video-file sharing site YouTube and social network MySpace. The magazine has put a mirror on the cover of its "Person of the Year" issue, released on Monday, "because it literally reflects the idea that you, not us, are transforming the information age," editor Richard Stengel said. You beat out candidates including Iran's President Mahmoud Ahmadinejad, China's President Hu Jintao, North Korean leader Kim Jong-il and James Baker, the former US Secretary of State who led Washington's bipartisan Iraq Study Group. IMHO... I think this year's choice is a little gimmicky. 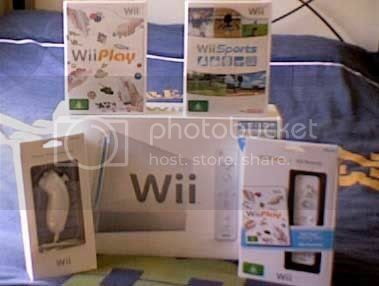 What a Wii-kend! I had a ball with the Wii this weekend! Managed to get a copy of Rayman: Ravin' Rabbits and I tell ya... it is fun and HILARIOUS! Will do a short review if I have the time. 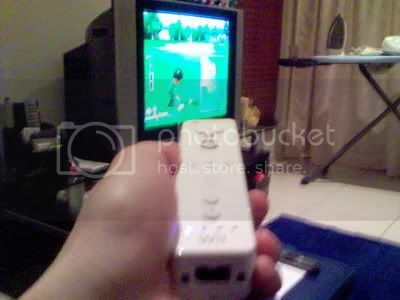 So far, almost everyone who 'test-drive' my Wii have been pretty impressed by the console and seem to enjoy Wii Sports. Can't blame 'em. Guru G recieved an email this morning and thinks this is hilarious. I have a huge problem. A friend has placed a screen saver on my computer, but every time I move the mouse, it disappears! PUNY HUMANS... since CHRISTMAS is COMING, I am here to ASSIST you with SEVERAL WORDS of WISDOMS. Even Guru G can MATCH my INFINITE WISDOM! Bwahahaha...! His expression doesn't seem to be "jolly" so much as "seething and vengeful"
FBI bursts into your house saying, "We got a tip from Santa Claus you're hiding Mullah Omar"
You spend ten minutes telling him what you want -- he says, "Oh, I'm sorry, were you talking to me?" Here's the plot... two brokenhearted women, one in L.A. (Cameron Diaz), the other in England (Kate Winslet), decide to trade homes right before the holidays in order to escape the blues. The Holiday is the latest romantic comedy from writer-director Nancy Meyers (Something's Gotta Give, What Women Want). WARNING to guys... this is a cute romantic chick flick comedy. Nonetheless, it is a sweet and elegant little film about love, passion and the joys of finding the right person. ALL HAIL THE GLORIOUS NAVI! 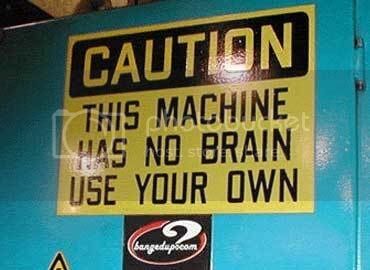 PUNY HUMANS I find your sign boards... HUMOROUS. Ths ONE for example... reveals the SIZE of your PUNY HUMAN brain... BWAHAHAHA! Everyone has a photographic memory. Some just don't have memory card. Guess what?! I picked up my pre-oredered Wii today! Pretty awesome I must say. The package comes with a free Wii Sports game and I must say... I am impress with the technology! This 'next-gen' console opens up a whole new world of possibility and I am excited to see what the Nintendo developers will roll out in the next couple of months. For now, I am gonna sweat it out on Wii Sports: Tennis. This is AWESOME! 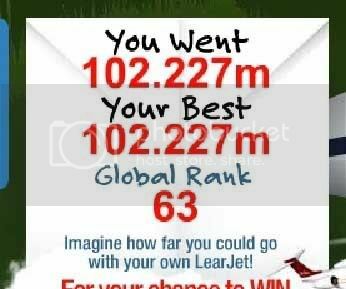 Check this flash game out... What you need to do is fly your paper plane as far as possible. Here's the trick... put ur plane right at the back, and let it go at the dotted line! Watch it go the distance...! 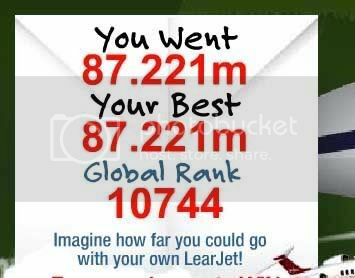 My best score so far is... let me know how you guys go. YOUR miserable skills make me LAUGH! TREMBLE at the score of the GLORIOUS NAVI! PATHETIC HUMANS! Today the GLORIOUS NAVI will ENLIGHTEN you with SIGNS that you bought a bad PRIMITIVE thing you call a COMPUTER. I stumbled on this hilarious sound byte! Listen carefully... hahaha... this telemarketer duped into thinking the guy he called has just been murdered is simply hilarious! Always forgive your enemies - It'll annoy them many many.